Maserati has named Accenture Interactive its global experience agency to boost its customer experience across digital channels. 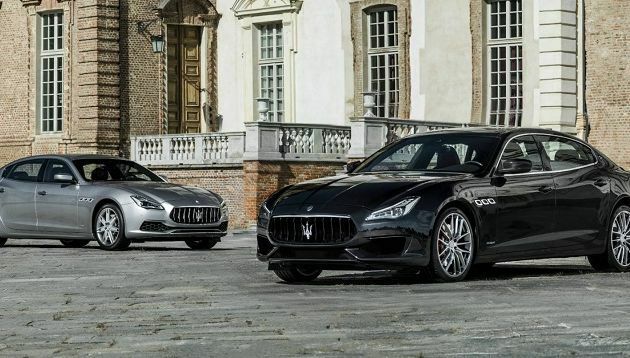 The agency will also be responsible for expanding Maserati’s sales and brand equity worldwide, according to Adweek. Accenture Interactive will specifically be responsible for digital brand strategy, digital content production, analytics services, campaign management and digital advertising. It is also expected to deliver more personalised digital content and advertising to engage current customers and prospects, as well as making all departments in Maserati more customer-focused. Adweek also stated that capabilities such as end-to-end creative, digital analytics, data-driven marketing and digital performance management will be merged into the core of the luxury carmaker’s business. Besides Accenture Interactive, Maserati will also work with UK-based creative agency Karmarama, which was acquired by Accenture in November 2016. Marketing has reached out to Maserati and Accenture for comment. According to Maserati’s head of marketing Jacob Nyborg, the agency has the right capabilities to offer strong experiences built around “consistent, seamless and authentic interactions”. Weighing in on the appointment is Darren Woolley, global CEO of TrinityP3, who said that management consultants have operated in the digital, data, analytics and insights space for several years. Customer experience is an extension of this capability and one that many agencies may talk about but few would have the expertise or capabilities to deliver at scale, Woolley said. “Having said that, Accenture’s investment in independent creative agencies Karmarama in the UK and The Monkeys in Australia reveals a strategy to extend their capabilities further into the heartland of agency capabilities – advertising and marketing communications,” Woolley added. What Woolley found interesting was that Accenture has yet to make a major play into the media planning and buying space, considering the volume of spend and the potential opportunity its core capabilities around data, analytics and insights would play in media. To safeguard their business, agencies can either play to their existing strengths around strategic and creative insights and execution, or change the game to focus on performance. This is especially when many brands are struggling finding sustainable growth. However, Woolley said that there are greater threats to the advertising agency business than the management consultants. They include clients either cutting advertising and media budgets or taking more of the media and advertising in-house, and commoditisation of advertising agencies. Speaking to Marketing during a previous interview, Richard Bleasdale, regional managing partner at The Observatory Asia Pacific, said the marketing agency industry has been trying to move “up the food chain” to regain the business-focused strategic role at the top table that it used to enjoy, but has not for a long time. This has had limited success, largely because most fail to have the depth of understanding of a marketer’s business that is required, and “focus on being ‘creative providers’ with work being bought by the metre, rather than having deep insight into a marketer’s challenges,” he said. Frank Bauer, global business director, J Walter Thompson Worldwide added that consultants still haven’t made any significant progress into the creative business yet. Maserati is a very specific example of a luxury car brand that wants to convert via experience, he added. “CX is definitely the marketing Key Word 2017-2018 and it can mean a myriad of things. It is the main battlefield between agencies and Consulttants in the near future,” he said. He added that agencies need to focus on clear, relevant and creative brand strategies and ideas for our clients first. He added that in tech- related fields, such as CX, agencies have to think very hard about the approach to win. "The quarter under review was marked by a very difficult operating environment," Alan Chan, chief executive officer of SPH said. ..
A move towards simplicity: Can your brand logo stand on its own without a name? Mastercard made the choice to drop its name from its logo globally in a bid to move towards simplicity. How can brands tell if the..